I wanted my text to stand out from the background so I added a stroke, but this was all in photoshop. I needed the text to be in web text so that I could use Google’s Translator. The following link helped me. I hope it helps someone else out there…. 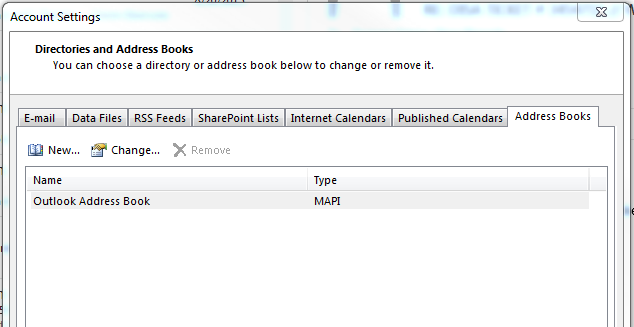 Needed to add the company address book from Exchange to a users Outlook 2013. Click New in the upper left. We need to select “Internet Directory Services (LDAP), and hit Next. Enter the server name. We got this information by clicking Change on the Account Setting page before enter the address book area, and the server address was listed there. Click okay and restart Outlook.